In Jack and Jill, Adam Sandler plays a guy named Jack, and he also plays Jill, his "identical twin sister." Looking at the Jack and Jill Web site got me thinking about other twins in movies, and how some twins are played by real-life identical twins while others are played by the same person. I wonder what the casting calls are like when movies need to cast identical twins. Are there hundreds of sets of identical twins available who fit the age and general physical description of a given role, or are the pickings pretty slim? Do a huge percentage of identical twins go into show business to fill the demand for such roles? 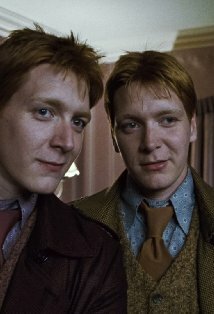 The Weasley Twins in Harry Potter. Of course you love these guys. Twin teenage troublemakers with red hair who like to say things simultaneously? I was kind of wondering if they are actually twins or if they are really played by just one guy. So I IMDB'd them, and found out they are real twins, named James Phelps and Oliver Phelps, and oh my, they are now 6"3. Is that silly of my to think that they might have been played by just one actor? I guess that movies never have one person play a set of twins out of convenience. Obviously, in Jack and Jill, the movie is written around the idea that it would be funny for Adam Sandler to play both parts. For a supporting role that is not showcasing a star, I guess that even with modern video effects, it would seem unnecessarily tedious to digitally splitscreen scene after scene. The long-lost sisters in The Parent Trap. 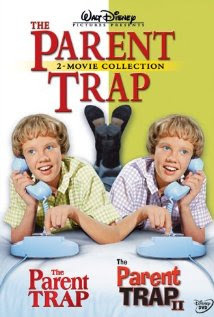 1961 Parent Trap starring Hayley Mills and Haley Mills, because, well, need I say that both Hayley and Hayley were adorable with those bangs? It blew my little mind as a kid when I was told how the scenes were filmed. Once I knew, I had fun searching out the dividing line between the two frames, semi-hidden by a doorframe or other prop on the set. 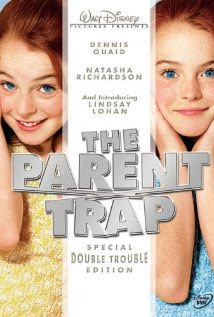 Lindsay Lohan and Lindsay Lohan in The Parent Trap. This was turned on at grandma's house one day and has since become a favorite of theirs. I can't vouch for whether Lindsay is as good as Haley because I have not sat down to watch it with them. It would make me too sad to see Lindsay all young and innocent, knowing the troubles she would have in the next few years of her real life. One thing that cracks me up about the premise of this Adam Sandler movie is the biological impossibility: Identical brother and sister? I love it, just as much as I loved that other biologically improbable opportunity for one actress to play two parts. 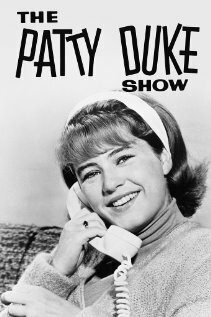 OK, this is a TV show, not a movie, but how could we overlook it? They're cousins! Identical cousins, yes it's true! As if they could refute all the genetic science of the time by assuring us, yes, it's true. Sponsored by "Jack and Jill", Now on Blu-ray™, Combo Pack & DVD.